Troy Streefland, operation manager of Streefland’s Transport and Logistic Solutions, and Stephen Harvey, Cripps operations manager. 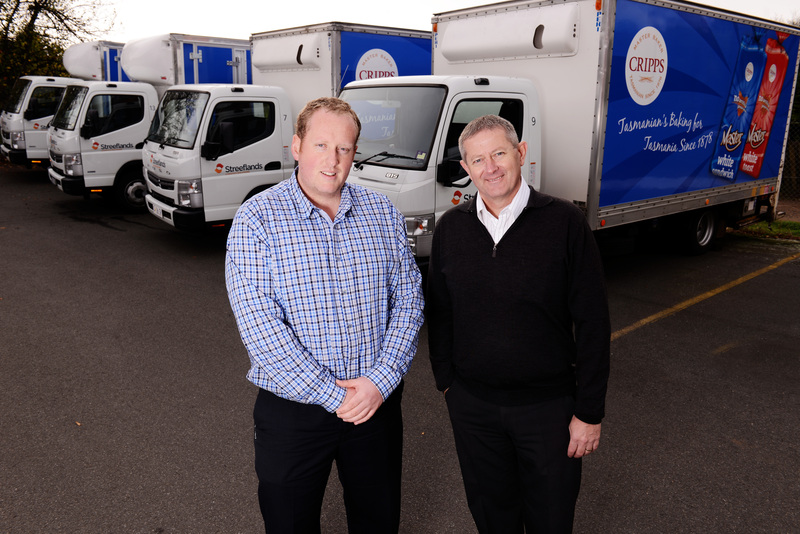 A NEW delivery contract in Launceston for Cripps Bakery has been described as a great outcome for Tasmanian business. Cripps signed the new three-year delivery contract recently with Launceston transport and logistics company Streefland’s Transport to deliver Cripps products statewide. The deal consolidates Streefland’s expansion program, lifting its truck fleet to 20 and employment to 40. Cripps chief executive Paul Gadomski said it was a win for Tasmanian businesses and shored up jobs when business security was paramount. ‘‘We’ve always said that if Tasmania supports us, then we can continue to support employment in Tasmania,’’ Mr Gadomski said. ‘‘We wanted to remain baking in Tasmania and not go down the track of so many otherTasmanian companies that have moved their production overseas. Operations manager at Streefland’s Transport, Troy Streefland, said it was great Tasmanian businesses could support one another. ‘‘We now service the 100-plus Launceston area outlets seven days a week and have five trucks dedicated to the morning deliveries.’’ He said. Mr Streefland, 26, sought no favours when he joined his father’s company five years ago and worked his way through all aspects of the company. ‘‘I’m passionate about the family business and stoked with the large but manageable increase in business and turnover,’’ he said. Mr Streefland said while there may have been an age difference between the two companies – Streefland’s Transport started in 1986 and Cripps started in 1878 — the interaction between the two had been rewarding and exciting.